Even though it has become such a staple in the Real Housewives franchise, the psychic readings never seem to go well. In fact, they pretty much never do. It is almost always a disaster. From unfavorable predictions, to a room full of skepticism, it is just a recipe for disaster, but on the bright side, it usually lends itself to some good episodes. Who could ever forget that drunk medium with the e-cigarette who told Kyle Richards that her husband “could never emotionally fulfill” her during Real Housewives of Beverly Hills Season 1? 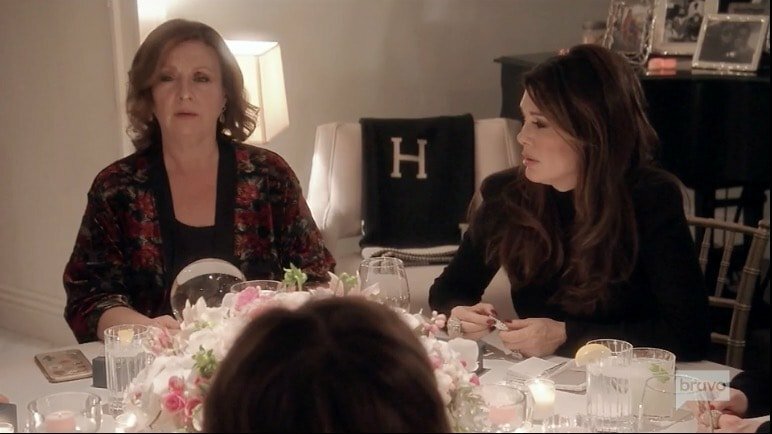 Well, apparently Kyle is not averse to all psychics/mediums – just that one in particular – since Kyle is the one who brought on Psychic Rebecca during the last Real Housewives of Beverly Hills episode. With the Real Housewives of Beverly Hills reunion filming this week, questions are circulating about whether the entire event might revolve around Lisa Rinna’s ongoing and exhausting drama with Kim Richards. The answer, in short, seems to be yes. 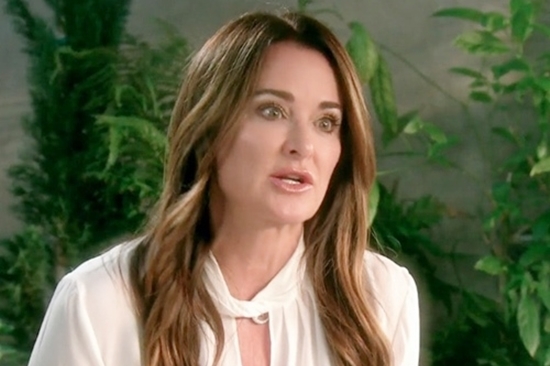 Kyle Richards vows to confront Rinna at the RHOBH reunion, claiming that this season changed her perspective on things – especially when it comes to the relationship with her supposed long time “friend” Rinna. “Personally, I think all that drama really changed everything for me and put me in an awful position. Kim is my sister, but Lisa Rinna is also supposed to be my friend. I mean how many times can she say she’s ‘sorry’ before it doesn’t mean anything?” reflects Kyle. Look below for the reunion seating chart. From Erika Girardi sharing the age of her hubby to Yolanda Foster revealing that Bella and Anwar have Lyme disease to Eileen Davidson sticking her designer pump in her mouth, there were quite a few bombs dropped among the Real Housewives of Beverly Hills this week. Eileen described this episode as “a learning experience” in her blog. Above: Bethenny Frankel shared, "Loving Skinny Girl Cinco De Mayo with Fredrik Eklund." Below you'll find pics from Kandi Burruss, Scheana Marie, Lisa Hochstein, Yandy Smith, Melissa Gorga, Giuliana Rancic, Ramona Singer, and more.